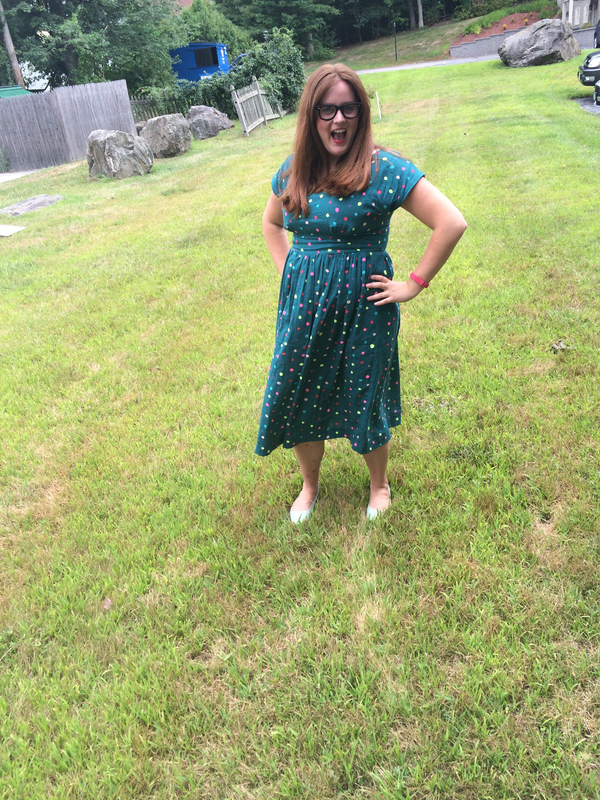 I had every intention of making a second Moneta dress during the Colette sponsored sewalong in June. My fabric was prewashed, my pattern pieces adjusted, and clear elastic ordered, yet when it was time to cut I decided my fabric was not at all right for this dress. I got some super cute chevron from etsy and a piece of solid green to do a color blocked bottom and sleeve cuffs but as I started to cut I realized this fabric should not be a dress for me. While I did not feel I had enough me made clothes to participate in the challenge this year, I gave myself a challenge to wear something me made every day for a week in May. I didn’t realize until that week that some of the items I have made are just too “fancy” to wear to work and for everyday life.